Hey all you cat lovers, did you know that a very important day is coming up soon? 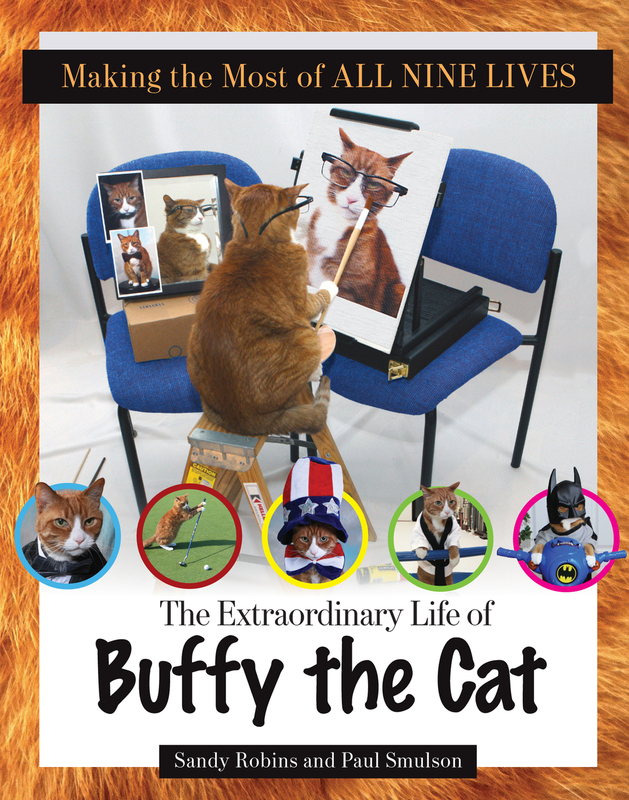 To celebrate the release of “Making the Most of All Nine Lives: The Extraordinary Life of Buffy the Cat,” (see my review), the 1st National Tabby Day will kick off at the Bideawee Animal Shelter, 410 E. 38th Street, New York, NY 10016 on Saturday, April 30th. The event will feature adoptions from 10 a.m. to 6 p.m. with a special celebration from 12-2 with author Sandy Robins. The book launch will feature drinks and treats for both two and four-legged guests. Anyone who adopts from the shelter during this event, will receive a special starter kit for their new pet and a photo-op with the book’s photographer, Paul Smulson. Author Sandy Robins is an award-winning pet lifestyle expert who has appeared on radio and television. She is also a member of the Cat Writer’s Association. Dr. Paul Smulson is an oral surgeon who has also worked as a photojournalist for Chicago Daily Defender, Sport Magazine, the Chicago Sun-Times, and Fox Sports’ Beyond the Glory. Before turning his camera lens to his orange Tabby, Buffy, he spent years photographing zoo animals. So mark your calendar for April 30th and join the fun in New York City, or if you can’t be there, celebrate National Tabby Day by picking up a copy of Making the Most of All Nine Lives. Previous Post Can you Make a special Sandwich or Judge one? Next Post How do you like this short story? National Tabby Day! I have many tabby cats to help me celebrate this event. 🙂 Congratulations to Sandy Robins — the book sounds terrific!